Logitech Ultimate Ears In-Ear Reference Monitor (IERM): Both were designed to have flat, reference sound, and they do, with many similar characteristics, but the IERM is more analytical in comparison to the more musical NT-6. The IERM can really let my ears have it in the treble department when playing a not so well mastered track while the NT-6 will let you know the track is less than perfect, but present with more smoothness. With a combination of better clarity, more space, and higher resolution, the NT-6 delivers a more realistic presentation with better transparency that can make the IERM sound smeared and inaccurate in comparison even though the IERM has better forward projection capability. The NT-6 bass extends noticeably deeper and can recreate more bass rumble and overall output with songs that call for it, giving a visceral feel at times that is missed with the IERM. Texturing and detail is excellent with both, but the NT-6 has a quicker note on average resulting in a slightly leaner and more defined sound, even though there is more bass output capacity. The midrange of the IERM is placed a little further back than the NT-6, however the NT-6 gives a more spacious presentation along with having better midrange detail, resolution, and clarity. Like with the bass, the NT-6 sounds slightly thinner in note resulting in better clarity and airiness of the presentation, making the IERM sound a bit thicker than the it should in comparison. Treble is slightly more forward with the NT-6 and both taper up, but the treble sounds flatter and is more extended, with the IERM treble sound peaky in comparison. While both can be involving and musical, they were designed for a flat and revealing reference sound. The NT-6 gives you more bass depth and weight, higher levels of clarity and detail, and on overall more defined and resolving performance wrapped in a more musical presentation. However, the IERM has a bit thicker sound and will let you know if your master is less than perfect and has better soundstage depth with the ability to project further. M-Fidelity SA-43: Both are excellent performers but do things differently as the NT-6 is brighter with a more forward presentation. While they have different tones and presentations, they share many traits such as transparency, dynamics, and recreation of ambiance with similar soundstage proportions. With a few tracks that contain large soundstage depths the SA-43 can project further and width of the SA-43 is also superior, but the NT-6 has slightly better focus within the soundstage as well as imaging. However, the comparison is difficult because the SA-43 is laid back quite a bit in comparison with the NT-6’s more forward presentation. Clarity and detail are superior with the NT-6, with the NT-6 bringing those additional details right to you while the SA-43 makes you search for them in comparison. Notes are slightly thicker with the SA-43, but not significantly different and both have a very good attack and decay ability, however the NT-6 can sound faster. Comparing the bass is not as straightforward as with other CIEMs due to the switch. With the SA-43 switch off the quantity of bass is similar to the NT-6, however the NT-6 has better extension vs. the slightly thicker and warmer presentation of the SA-43. With the switch on the bass depth is similar, although the NT-6 still has more quantity in the deepest registers, but the SA-43 has more bass quantity overall. However, with bass heavy songs, especially with deep bass, the NT-6 can easily keep up in quantity and even surpass the SA-43 at times. The midrange of the NT-6 is more forward and has better detail, articulation, and imaging, recreating a more believable experience with vocals compared to the SA-43 with the presence switch off. Recordings with 3D spaciousness are recreated with more realism with the SA-43 due to the larger overall space and better projection. With the presence switch on the SA-43 turned on the midrange is brought forward to almost the NT-6 level, but some artist voices sound somewhat nasally when compared with the NT-6 and with the presence switch off. The presentation differences make it hard to compare directly because the NT-6 treble is much more upfront, but the both are smooth and have good detail, however the SA-43 is smoother and the NT-6 is more detailed. The SA-43 has a slight bit more note decay however the NT-6 has better extension. Overall both are excellent performers and perform their best in different situations and appeal to different preferences. The NT-6 is more of a reference monitor that excels across the spectrum bringing you all the details in your music with crystal clarity while the SA-43 is more laid back with options to adjust the sound to your liking. If you prefer to listen to the overall presentation with a great spaciousness, placement, and projection, the SA-43 is the better choice while the NT-6 will recreate vocals in a more focused and convincing way with the ability to recreate individual instruments more realistically. Both are very enjoyable and highly recommended. Spiral Ear SE 5-way Reference: Both are in the upper echelon of what I have heard, with a very natural sound and high technical ability. While they are fairly balanced, the NT-6 has a brighter sound with an overall more forward presentation with most songs while the 5-way has more of a bass emphasis and can convey bass power and emotion. The presentation space is large for both and the proportions are very similar, but the 5-way can present a larger overall space and has better depth of space when extreme depth is in a recording. Average note decay is a bit longer with the 5-way, and while the NT-6 is very capable with great attack and decay, the 5-way really shines in this area with the best combination of attack and decay I have heard. This results in the 5-way never sounding slow in comparison with the NT-6, but sometimes the NT-6 sounds slightly too fast in comparison. Both offer great transparency and clarity, however the clarity is different, with the NT-6 offering a very apparent clarity and at first listen I would say the NT-6 has better clarity, but the SE 5-way has equal technical levels of clarity which are achieved through resolution, layers, and ambiance recreating a more “you are there” feel. The 5-way is a little more forgiving of poorly mastered/low bitrate tracks. Source dependence of the NT-6 is less than that of the 5-way, but the 5-way improves more with better sources. The 5-way has amazing bass, with the ability to deliver more quantity than anything else I have heard, and in a clean and controlled way. The NT-6 is equally impressive given the sound signature as it has similar headroom even though it doesn’t actually output the same amount of bass as the 5-way. Both have bass that goes down to the deepest registers, both can rumble, and both have great texture. With that being said, the 5-way is a little thicker and warmer and puts more emphasis on the bass than the NT-6. The midrange of both is exceptional and while the 5-way is liquid, smooth, and rich the NT-6 has a similar sense of liquidity, even though there is an analytical nature to the sound. Presentations are fairly close, but the 5-way has a slightly more mid-forward presentation in the lower midrange/vocal area. The upper midrange and above diverge in frequency response as NT-6 has a more forward and emphasized upper midrange and treble leading to a brighter sound while the 5-way pulls that area back a bit and gives better depth of the presentation. Both extend the treble quite a bit and have an air about them, but the NT-6 is a little flatter throughout the treble while the 5-way is better with note attack/decay. Both are smooth and liquid, but since the NT-6 is flatter in frequency response and equal in detail and dynamics, the NT-6 treble rates slightly higher than the 5-way treble. However, Grzegorz (the maker of the 5-way) said my fit issues may be a cause for the less than perfectly flat treble. 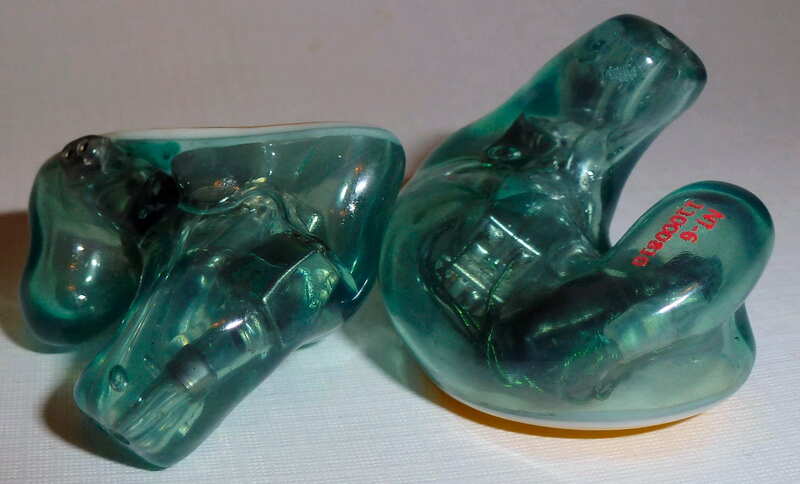 As stated at the beginning of the comparison, these two are very close in overall performance and the NT-6 was the first custom IEM that really technically challenged the 5-way and made me question some aspects of the sound. With the NT-6, you get a very technically capable CIEM that is brighter and more analytical than the 5-way with a thinner overall sound while the 5-way gives you ultimate bass capability when well amped and exceptional attack/decay of notes. But, both offer incredible performance that is extremely enjoyable when not comparing directly. JH Audio JH16: With a similar note presentation, the NT-6 and JH16 share some traits, although frequency response at both ends of the spectrum is not. Both have notes that are on the quick and detailed side, however the NT-6 has a more consistent note across the spectrum while the JH16 seems to thin out a bit in the bass and treble, but is similar to the NT-6 through the midrange. The biggest presentation differences are centered around the recreation of the soundstage as the NT-6 has better focus and clarity as well as more depth and height to the presentation while the JH16 has a bit more width. In comparison, the JH16 lacks the definition of instruments in space as well as placement with all but tracks that don’t have much depth/height. Speed is similar between these two and both have very good dynamics and headroom. There is no question that the JH16 has enhanced bass in comparison with the NT-6, but it is also presented in a more punchy way which for me is unpleasant with some easy listening tracks such as Yes – It Can Happen. Both recreate the deepest registers and both have very high levels of detail and texturing, however the JH16 has more sub-bass rumble, mainly due to the enhancement, but the NT-6 does recreate sub-bass ruble. I was a bit surprised that the NT-6 bass sounded a good deal more precise and well controlled with bass heavy tracks. Warmth of both is about on par with each other although due to the enhanced vs. flat response there are differences in perceived warmth depending on the track. The midrange has the biggest quality difference in the frequency range as the NT-6 midrange tonally sounds flat and accurate in comparison with the JH16 midrange, which sounds like the lower midrange is a little recessed, especially in comparison with the upper mids, which have a tendency for sibilance with female vocals in comparison with the NT-6. Imaging differences are fairly large when there is soundstage depth in a recording, increasing the differences between the midrange. While the JH16 treble is good, the NT-6 treble is a real strong point and has a flatter in-ear response as well as a slightly longer note decay leading to a more natural and sustained note. The midrange of the JH16 does have a liquid quality, but the NT-6 matches that liquidity with more precision and ambiance recreation. Aside from the note presentation, these two sound like they are made for different audiences: the JH16 is for someone who wants enhanced bass and listens to today’s pop music while the NT-6 is for those who want accuracy and the ability to recreate the imaging in well mastered music. Both have a very wide frequency response and cost about the same so it comes down to music preference and ultimately, use. I could see a stage performer going for the JH16 for the fun sound while a studio engineer would really appreciate the NT-6. Rooth LS8: While these two aren’t too different, they do have different frequency response characteristics and presentation difference. The LS8 is warmer with more bass punch compared to the brighter NT-6. Both have very airy sounds and give a complete, well rounded presentations but the NT-6 has a little more overall space as well as a more 3D presentation, although not nearly as large of a disparity as with the JH16. Technically, the NT-6 has better imaging, clarity, and transparency while detail levels, resolution, and speed are similar. The LS8 holds the edge in smoothness, with a more liquid, forgiving presentation compared with the more analytical NT-6. With more bass emphasis and warmth, the LS8 is a capable performer, however the NT-6 bests the LS8 in reproducing sub-bass rumble and is slightly more precise in direct comparison. Other than some minor quality differences, the bass quality is similar. The midrange is similar between these two except the NT-6 has better imaging by a bit along with the tonal differences of vocals due to the warmth differences. In the upper midrange the LS8 has a peak while the NT-6 has a bump; much less prominent. This bump carries over into the treble with a gradual increase resulting in a smooth and pleasant response while the LS8 can have a tendency to accentuate the occasional sharp ‘S’. The treble flip-flopped for me, with some tracks being more forgiving and liquid with the LS8 while other tracks that were mastered better sounded silky smooth with the NT-6, leaving the LS8 behind. Both perform at exceptional levels, with the LS8 having a more forgiving and liquid presentation resulting in a more musical experience with a warmer and more bass centric sound. Conversely the NT-6 has a treble emphasis in comparison along with a more analytical sound. Technically the NT-6 is more competent with a superior overall soundstage recreation, but they aren’t too far off, and the LS8 could be a better choice for someone that want a warmer presentation. EarSonics EM3 Pro: With a thick and warm presentation the EM3 Pro is very different than the NT-6, and both bring out the bad points of each other. Technically the NT-6 has much better clarity, detail, and a sense of speed. The EM3 Pro has more warmth/richness and is more forgiving because the treble is at a much lower volume in comparison with the rest of the spectrum, especially when compared with the bright NT-6. There is a greater sense of depth and space with the EM3 Pro than with the NT-6, however the NT-6 has a wider soundstage. Bass quality with the NT-6 is far superior with much better detail, texturing, and extension but the EM3 Pro has more bass quantity. The midrange is vastly different as the NT-6 is clean and clear while the EM3 Pro is warm and rich with less detail but more ambiance due to the soundstage depth. Treble is also vastly different since the NT-6 treble increases gently as the frequency increases while the EM3 Pro treble has much less quantity. All in all these two are complementary and not competitors. Technically the NT-6 is superior but the EM3 Pro does offer a fun sound with great depth to the soundstage that adds ambiance to the presentation giving it a special feel. Ear Power EP-10 Plus: The differences between these two are night and day. One is accurate and precise without any bass emphasis while the other is a mid-bass monster, so much so that there is a veil. There is no need to write too much more because if you want one, the other will either be the ultimate complement, or you won’t want it! Audio Techinca CK10: Since I think the NT-6 sounds very much like a CK10, I borrowed a CK10 for comparison purposes. These two share characteristics in the midrange, so when there is only midrange present, especially with simple music such as vocals with a little background music, the differences are small. When comparing the overall sound, the CK10 is mid-forward in comparison while the NT-6 has a bit more upper midrange/lower treble emphasis, but the midrange and treble are more filled in. Bass quantity is in general quite similar as the CK10 is capable of reproducing deep bass notes, however the recreation on the NT-6 has more power and reverb ability. The tone of the bass notes can be different depending on the depth of the bass note as the CK10 runs out of steam in the sub-bass region while the NT-6 keeps going strong resulting in more body, reverb, and punch. Differences in the treble region are even bigger as the treble of the NT-6 is more present, detailed, articulate, and focused leading to a presentation that is cleaner, clearer, and more realistic. The treble region of the CK10 sounds rolled off in comparison. While clarity of the midrange isn’t too far off between the two, the NT-6 is a good deal superior at both ends of the spectrum. That is combines with more depth to the presentation, much higher dynamic range, and better focus within the presentation resulting in the NT-6 being able to recreate music in a much cleaner and clearer way, with instruments making music while the CK10 sounds like it is pushing out notes in direct comparison. Due to this presentation difference, the NT-6 is more transparent while retaining coherence even though it is a 4-way design. Attack is similar but the NT-6 can sustain notes longer resulting in a wider variation ability for the decay, especially at the frequency extremes. The NT-6 is the closest to the CK10 that I have heard and is clearly a step up, and a good one at that, but at a very large price premium. Modded iPod -> Note: the changes between the amps are not all that large, just small differences noticeable with A/Bing. The overall performance is below that of the 801 and D1 but greater than the other portable players and lower cost desktops. 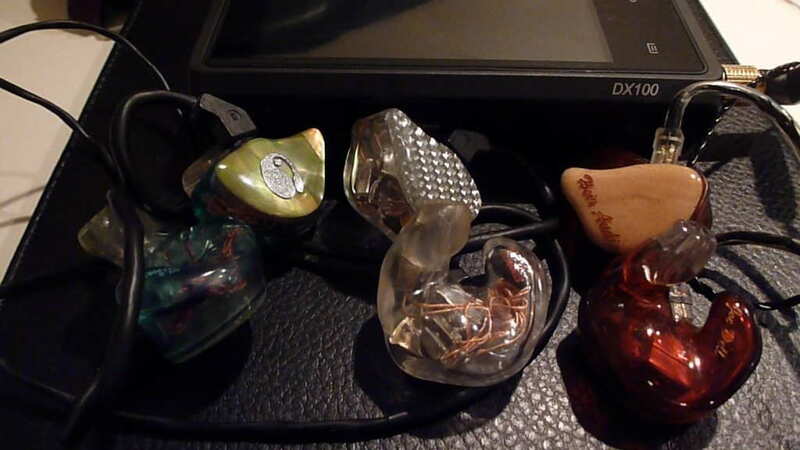 Source Summary: While entry level DAPs certainly don’t sound bad with the NT-6, they don’t bring the dynamics, excitement, or detail of the higher end hardware. When the detail level from the source (DAC) is increased there is a direct correlation to the quality of the music recreated; the NT-6 is very source transparent. It is a fairly easy to drive CIEM so other than amp sound signatures, there isn’t much difference between high quality portable amps.